I measured a little more than 80 kg (weight) into my kettle. I heated up tap water to 40 c, removed water till it was at 80 kg. I made a small mark on my sight glass. I have an answer, but want to confirm. I found a factor of 0.99225 to use when tap water is at 40 c.
How much volume do I have at the same height when it is at ambient / cooled? Using the National Institute of Standards and Technology STP of 20 °C (293.15 K, 68 °F) and an absolute pressure of 101.325 kPa (14.696 psi, 1 atm), the density of water is 998.2071kg/m3. Making the units the same, grams per milliliter*, you would apply 0.998207 grams/ml at STP the same way you used 0.99225 at 40 deg C.
You need to have measured either the weight or the volume once or you'd end up assigning what you want to know based on a measurement of differences. That is not a great way to measure. The working assumptions of what is negligible help us avoid getting too hung up on how precise/accurate our measurements are. It's a different set of numbers when you compare pure water to wort. For brewing, the use of [1 ml of water weighs 1 gram at Room Temperature] is good enough. edited on a real keyboard this time, sorry for posting from a tablet while watching a game. Last edited by ShorePoints on 12 Nov 2016, 23:22, edited 2 times in total. There are some formulas for the expansion of water at different temps but, they fail dramatically if my memory serves me correctly, when you get to about 4°C (4 degrees above freezing), as water does some really weird things at around that temp. But, that bit of trivia is beside the point as SP has said. 1. It makes the user respect unimportant numbers too much. 2. Measuring tiny differences in volumes caused by temperature is impossible on small systems AND large ones. There is a common myth amongst home brewers that you can make beers repeatable. This is incorrect. 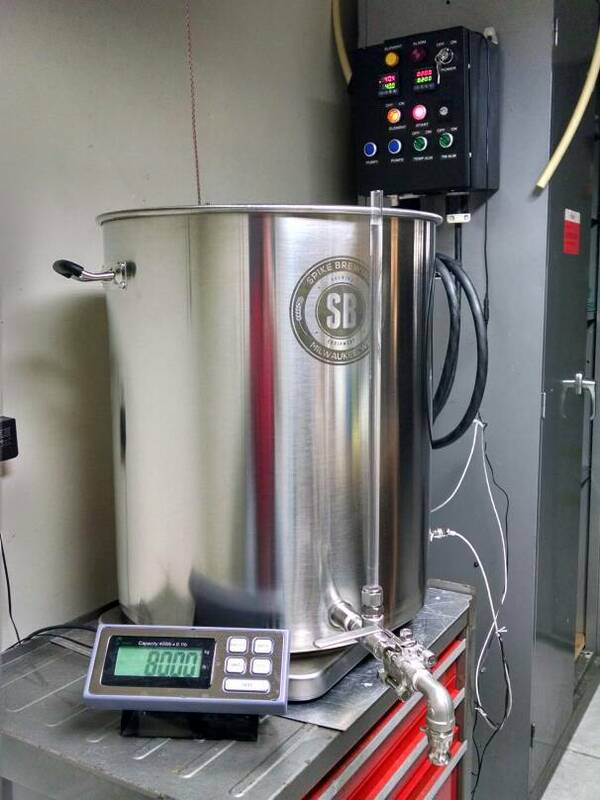 For a start, evaporation cannot be predicted perfectly prior to a brew day so, we already have 'prediction' problems. But, if we set our defaults sensibly (as the BIABacus aims to do) we can adjust for that easily. The real issue though for us tiny brewers (and even for the massive commercial brewers) is that our ingredients are never the same day to day (besides yeast - hopefully!). Water can be made consistent to a high degree (eg RO and salt additions) but malts and hops are a different story. For a start, this week's bag of "pale ale" malt from a maltster might be quite different from next week's bag from the same maltster. This is why they issue a specification sheet for every malting they do; even they do not have total control. In the same country, the same variety of hop can also vary dramatically from one region of the country to another in the same year! (This happened with some sort of Hallertau in Germany a few years ago). So, to sum up, there is so much out of our control. There is very little info out there on just how little control we have. The paradox though is that the more info we have on what is out of our control, the more comfortable we can get in our brewing. e.g. Q. The amarillo ale I brewed last year tasted way better than this years? A. Maybe this year's amarillo is a crap crop? Did I save some of last year's in my freezer to compare? While most of this post has talked on how little control commercial or home brewers have in many areas, that last paragraph shows one area where we home brewers can have an advantage. Commercial or craft breweries can't afford to store hops in a freezer from one year to the next whereas we can. (I've never thought of this before as I have been, until the last year, very poor in labelling my hops!) If I had had the knowledge written above previously, I would have saved myself brewing quite a few unsatisfactory APA's. I would have been on to the fact that maybe amarillo no longer produced tremendous passionfuity aromas etc and ventured into galaxy or citra more. Oops! That is a very long ramble sorry Richard. Hope there aren't too many spelling mistakes or grammar errors but I have to race!!! *One thing we do know on sweet liquor or wort, is that it does not weigh the same as water. (I can't remember if BIABacus PR1.3T deals with that but, later as yet unpublished versions do). Last edited by PistolPatch on 12 Nov 2016, 22:54, edited 1 time in total. I used the 0.99225 factor based off of 40° C tap water from the table. So my volume of the kettle, the mark on the sight glass (which is the reference mark) is 80.67 L and weighed 80 kg. So, I'm guessing that the volume (of water) at the mark will always be 80.67 L no matter the temperature (within normal that a brewer deals with) and weigh 80 kg? I had the controller on the maintain the temperature during the test. With the sight glass marked I can use Section V, measuring the head space. Last edited by Mad_Scientist on 14 Nov 2016, 05:44, edited 1 time in total. Mad_Scientist wrote: So, I'm guessing that the volume (of water) at the mark will always be 80.67L no matter the temperature (within normal that a brewer deals with) and weigh 80Kg? 1 litre of "pure" water at 4°C weighs "about" 1 kg (1000 grams). At 20°C it weighs about 998 grams and at 40°C it weighs about 992 grams. This is pure water, not water with minerals or sugars of any kind. Let's say you did have 80 kilograms of pure water. When you heat it, it will always weigh the same (assuming zero evaporation) but on your sight glass, the volume will increase. I think my last ramble above was mainly to say that we can go way overboard on measurement. I think you also know the above but are getting stuck in an 'over-think' moment. I've had plenty of them!!! Last edited by PistolPatch on 18 Nov 2016, 22:24, edited 1 time in total. MS - With that gorgeous electronic balance (scale) that can handle 80 kilograms as shown in your photo, why worry about the sight glass? Use the density numbers mentioned in posts above with your balance to get the amount of starting water you seek at the temperature you have. Keep track of the weights (grains + hops + any other stuff) you add to the kettle - assuming that you add them in pre-weighed portions if 28 gms of hops wouldn't show up on your electronic display of Kg. Then, by weight, you'll know how many grams of water stayed with the spent grains or hops when you pull the bag(s). The weight loss during the boil is water weight only - aroma boil-off is negligible in terms of grams. It seems to me that it boils (pun) down to which measurement you want to trust with the other being confirmation, or back-up, nothing more. With two means of measuring (balance and sight glass) you can use one of them and move along with brewing, or you can question both and get stuck.